How high are realtors' and lawyers' fees in Netherlands Antilles? What about other property purchase costs? How difficult is the property purchase process in Netherlands Antilles? There are no restrictions on ownership of private property by non-residents. A foreigner must only present his/her passport plus another identification with picture. 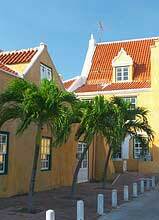 The first step to purchasing property in the Netherlands Antilles is to appoint a real estate agent. There is no need to hire a lawyer, since the notaris in your Island takes care of all legal matters, including due diligence. Notaris are appointed by the Dutch government and mandated by law to serve both parties. When a property has been selected, make an offer to the seller and negotiate. A preliminary purchase deed will then be drawn up and signed. A deposit of 10% to 15% of the purchase price is expected within seven days of signing. The closing date should be stated in the purchase deed, before which the property is registered to the Register of Real Estate Property. At the same time, the notary will be responsible for checking if the property is clear of any charges. Once its status has been verified, the deed will be notarized and transferred to you from the seller. The last thing to do is complete all necessary payments and closing costs. It may then be arranged to have the title mailed to the new owner's home. Netherlands Antilles uses Neth. Antillean Guider (ANG) which is pegged to the US Dollar at US$1= ANG 1.79. The Transfer Tax (Overdrachtsbelasting) is charged at a flat rate of 4% of the property value. Notary fees on the transfer deed is around 1% - 2% of the selling price. Deeds signed by civil law notaries must be registered. The tax is charged at ANG5 for each document submitted for registration. Real estate agents usually charge 4% of the purchase price for their services, usually paid by the seller. How landlord-friendly is the law in Netherlands Antilles?